Regrets caused by sin are cleansed by heartfelt confession, forgiveness and repentance. Devil always wants us to remain in the valley of regret. Snap out from that self-pity mode. Stop condemning yourself. There is therefore no more condemnation for those who are in Christ Jesus, . . . Remember? Don’t allow yourself be cheated. You have fallen, so? We all do at one point or the other in our lives. Repent and move on. Stand up from your fallen state and don’t return into the mud. God sometimes uses brokenness and remorse to bring about repentance. “At last they will hate themselves for all their wickedness. They will know that I alone am the LORD” Ezekiel 6:9-10. Judas’ self-destructive regrets were caused by a combination of selfishness and a failure to consider the full consequences of his decision. 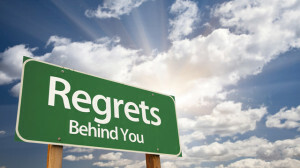 You aim to avoid regrets in the future? Learn from this. 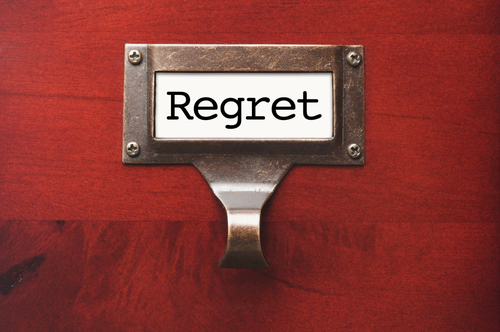 God wants us to know that the consequences of sin always include deep regret. 2Cor. 7:10:Distress that drives us to God does that. It turns us around. It gets us back in the way of salvation. 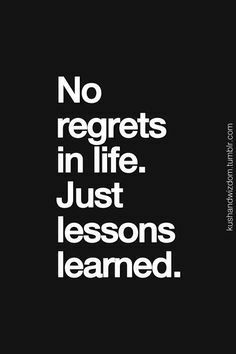 We never regret that kind of pain. But those who let distress drive them away from God are full of regrets, end up on a deathbed of regrets. We should therefore flee from/ avoid falling into sin.